Couple of entries from the Civil War historical marker category. Visitors to Mason District Park may notice a new addition to the park not far from the picnic tables near the baseball field. Last Wednesday, a new Civil War marker was installed as part of the Civil War 150th Legacy Project. The marker, called Mason’s Hill, represents a strategic location used by Confederate Col. J.E.B. Stuart following the First Battle of Manassas. According to the summary graphic, at Mason’s Hill, Col. Edward P. Alexander built a signal observation tower with a six foot “astronomical glass” to observe Washington. 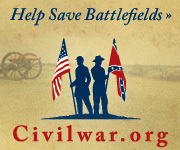 The article goes on to detail Fairfax’s Civil War 150th Legacy Project. The project plans to have five more markers by July 2013. Ron, I think this marker is in your HMDB assignment area, can you get it on your way home this evening? Just outside of the town’s post office sits a historical marker with the name “John Sappington Marmaduke” written in big bold letters…. According to its history, Marmaduke was named after General John Sappington Marmaduke who served as a Confederate major general during the American Civil War. The article goes on to mention that Marmaduke went on to serve as governor of Missouri, but died in office in 1887. Some time back I wrote about Chalk Bluff, an 1863 battle on one of the general’s cavalry raids. But I contend Marmaduke’s greatest contribution to the Confederate war effort was to mortally wound his commander, General Lucius M. Walker, in an 1863 duel. Regardless, the town of Marmaduke is a place name from my youth. In my teen years, it served as an example of the lasting impression left by the Civil War.